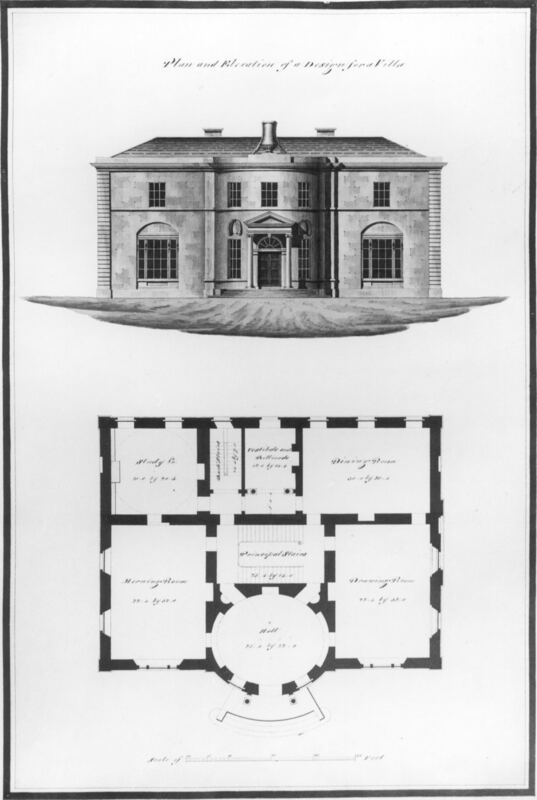 Richard Morrison designed Castlegar for Sir Ross Mahon around 1801. The Mahon’s had resided in Castlegar from around 1711 when the Earl of Clarincarde signed it over to Bryan Mahon on a permanent lease. Morrison’s house replaced an earlier dwelling on the same site. 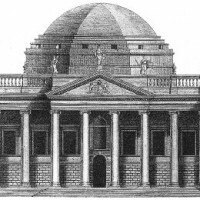 The two storey three bay principal facade breaks forward into a deep bow at its centre, pronouncing the form of the oval entrance hall on the exterior. The composition is a fine example of early nineteenth-century spared classicism, and although the fenestration reacts against the eighteenth-century stoic regularity of same, the building maintains an aesthetically pleasing balanced symmetry. The plan (below) displays a series of 1:1 (square) and 3:2 spaces wrapped around a central staircase hall. The illustrated piano nobile clearly outlines the main function of the house – lavish entertainment – with all the modern necessities, a breakfast room, drawing room, dining room, study, and of course billiards room. The house is still in private ownership and modern self-catering accommodation is offered in the accompanying stables.